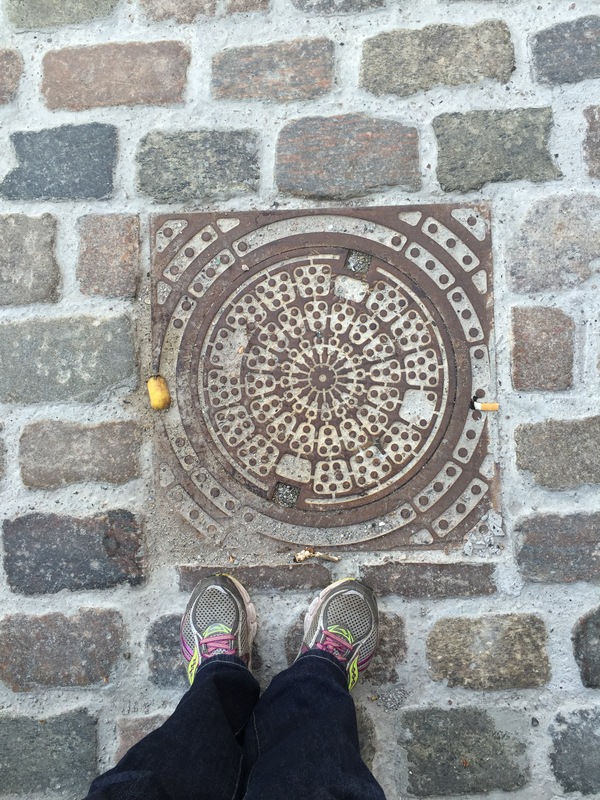 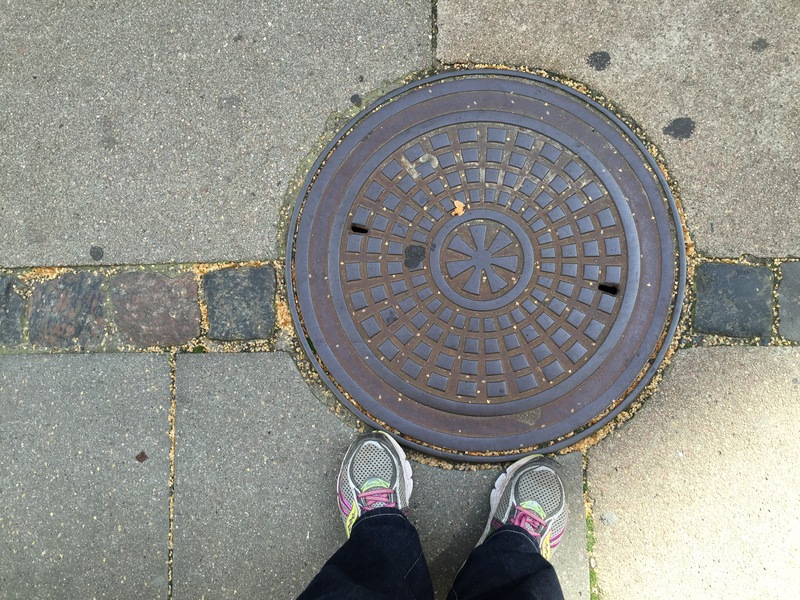 Copenhagen drain covers: gotta catch ’em all! 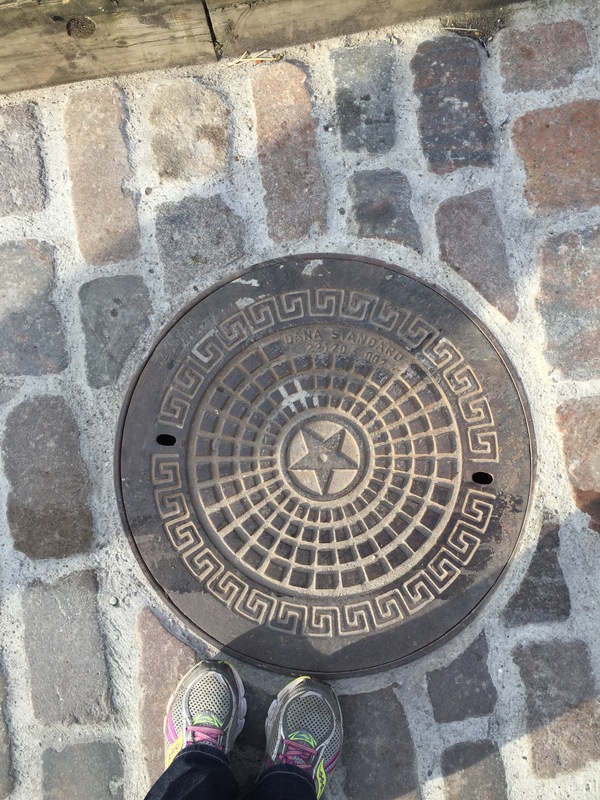 Well, maybe not ALL of them. 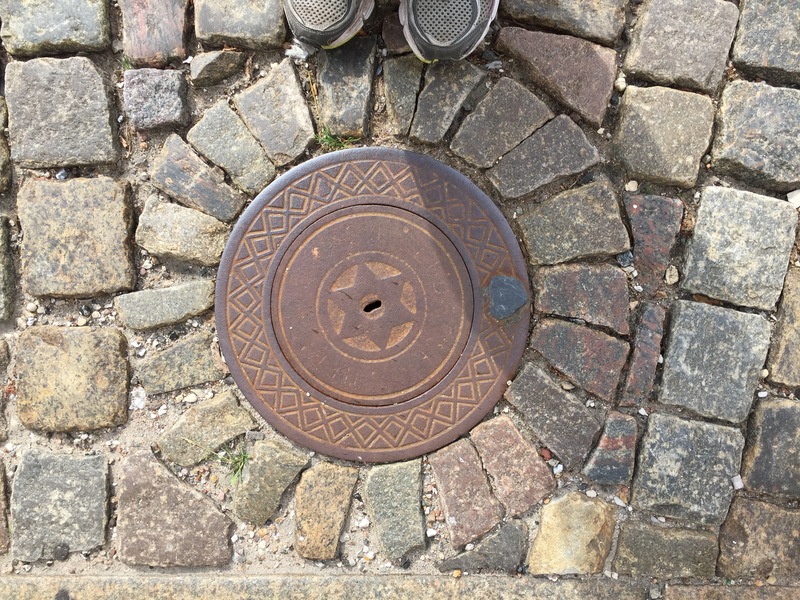 I noticed some days ago that many of the street access covers are much more attractive than those in London. 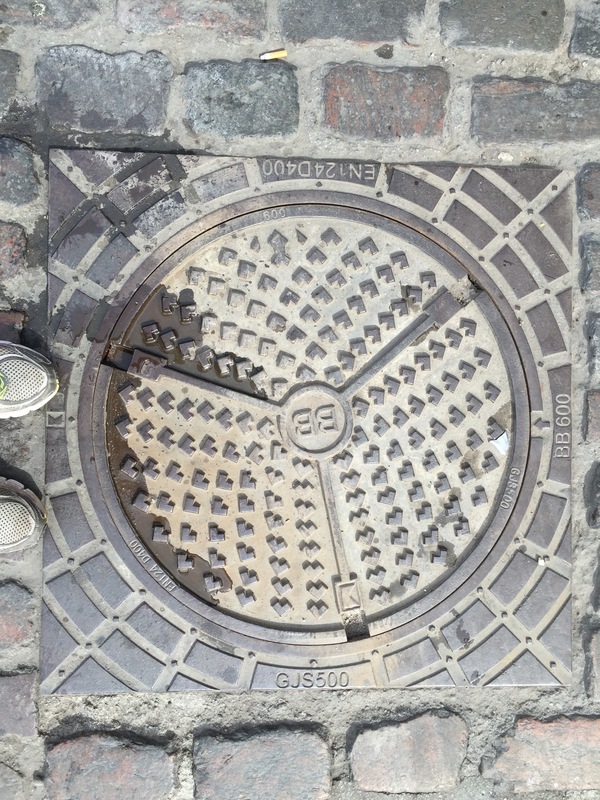 Like New Orleans’ ‘Crescent City’ water company meter covers, they add interest to the street. 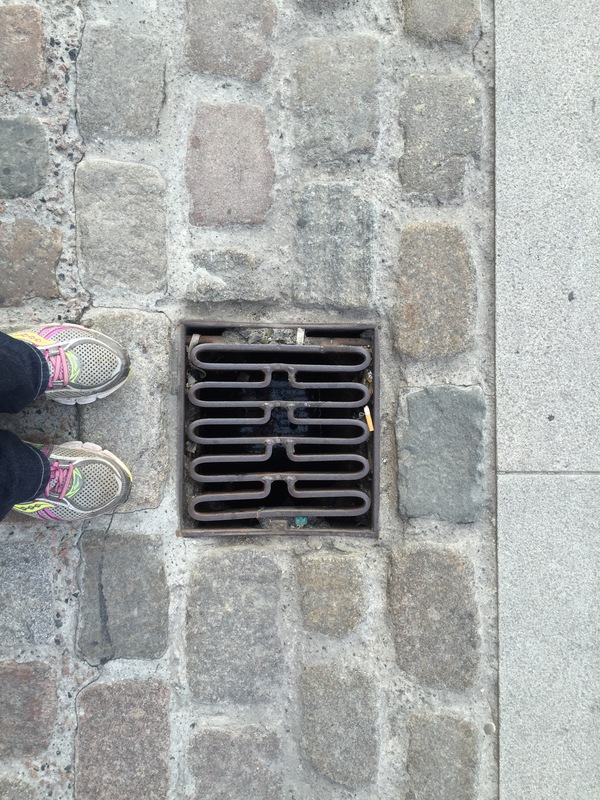 Also note that most of the pavements/sidewalks are cobbled. 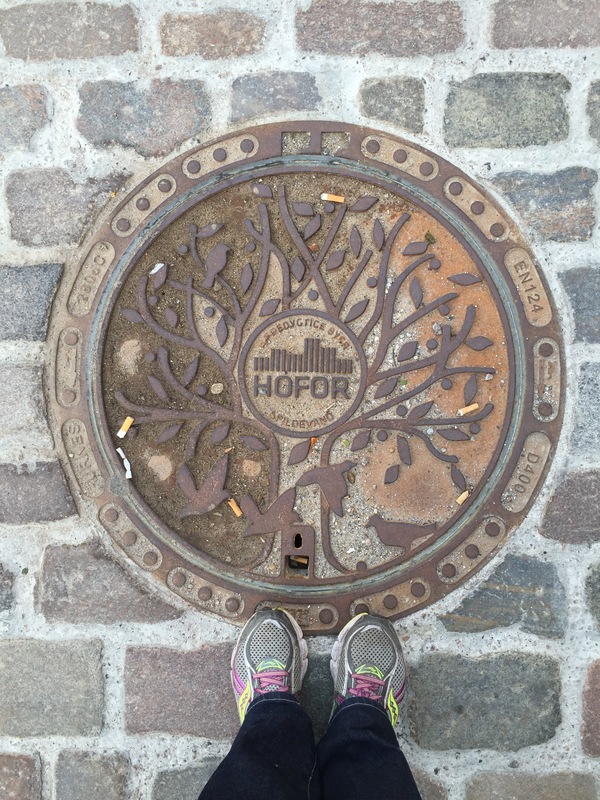 And despite frequent street sweepers, there are lots of cigarette butts: it’s surprising how many people smoke in a city full of organic food shops! 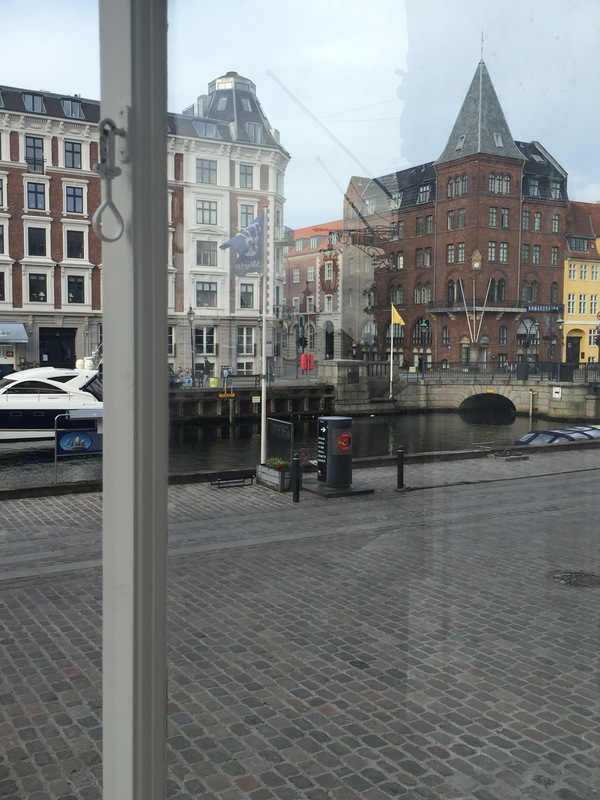 Nyhavn has so many tourists, so much garbage, that these bins are self-emptying: the whoosh was the vacuum sucking the waste to a central, more accessible collection point. 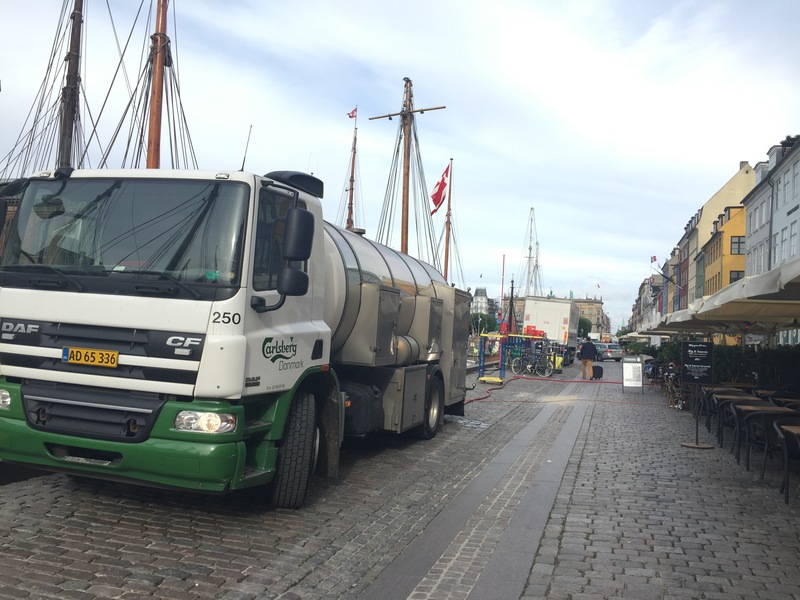 Another indication of just how many people visit the bars (and drink Copenhagen’s own beer): the beer is delivered by tanker. 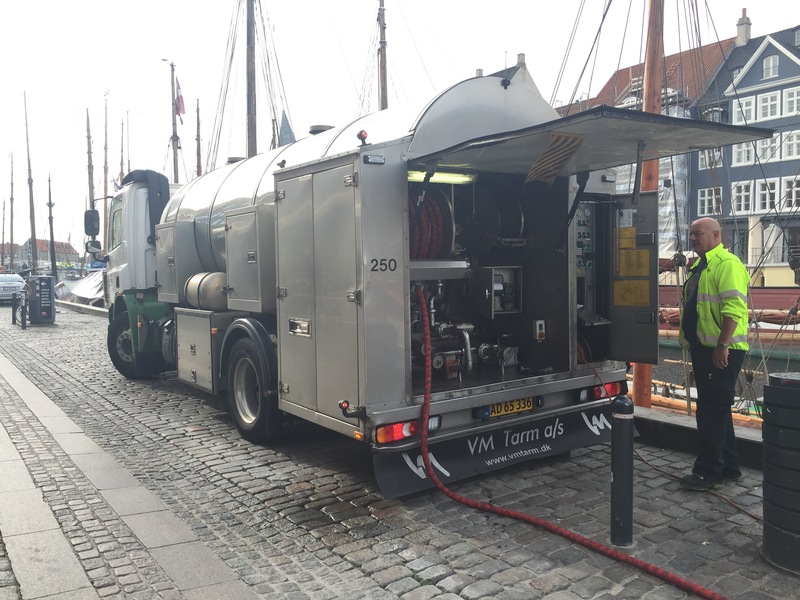 This one holds 9000 litres. 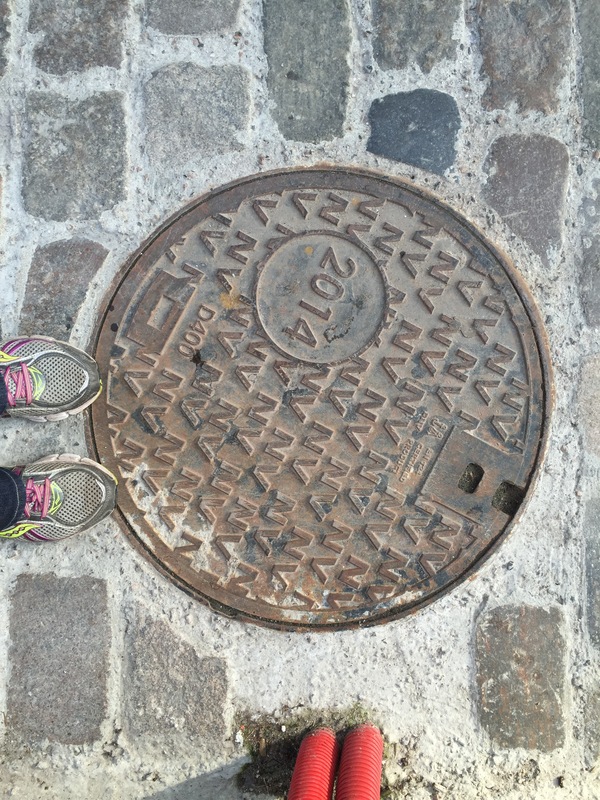 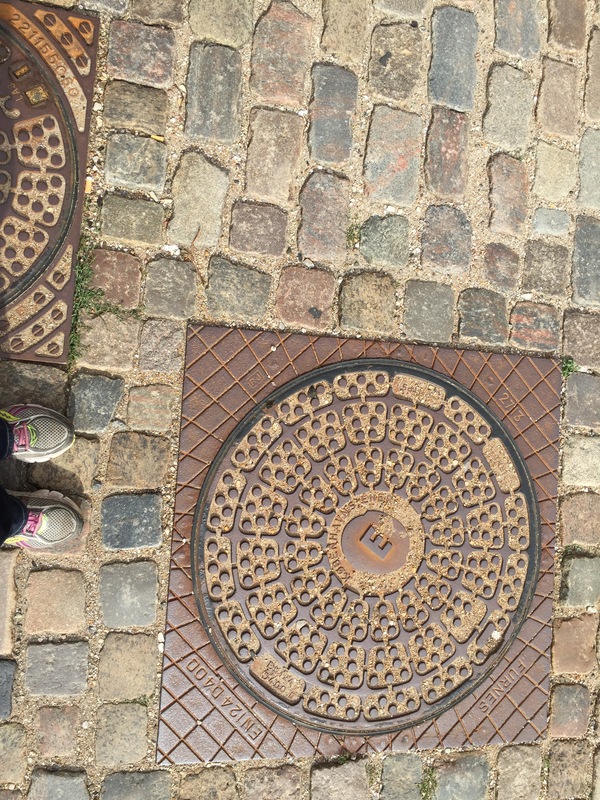 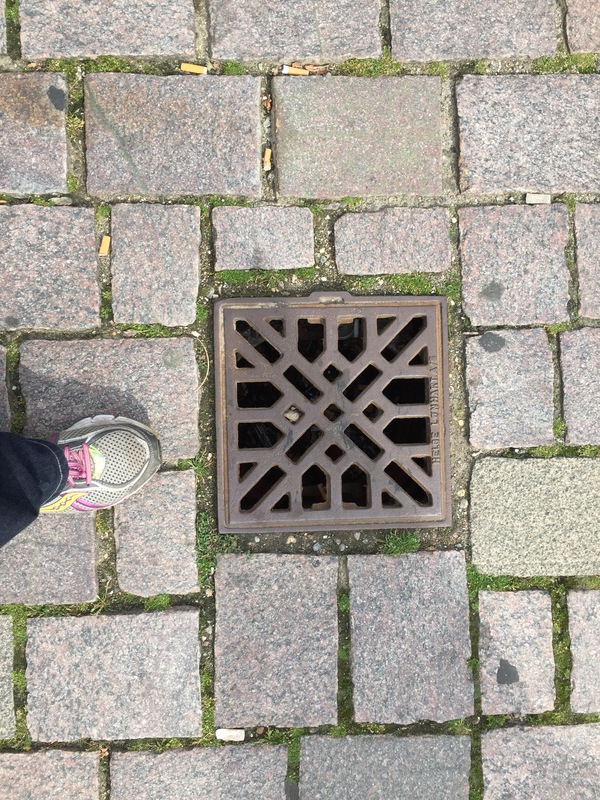 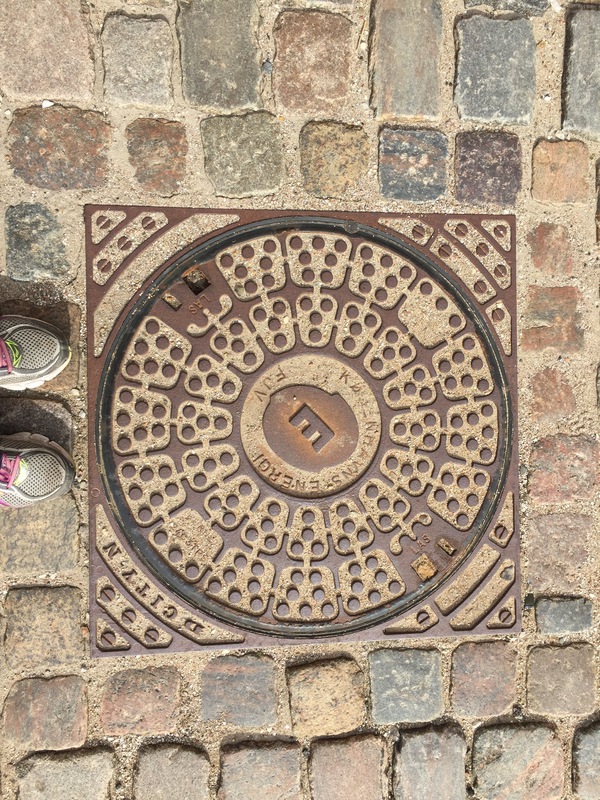 This entry was posted in Europe, travel and tagged city_street_detail, copenhagen, drains, Handmade on August 6, 2016 by sarahw.